The National Audit Office has produced six reports on preparations for the 2012 Olympic and Paralympic Games. These reports have looked at progress across the Olympic programme, including delivery of the venues and infrastructure required for the Games, planning for Games-time operations, planning and delivery of the promised legacy, and the costs of the Games. 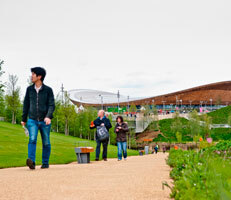 In addition, the NAO produced one report in 2008 about preparations for sporting success at London 2012 and beyond. In our recent Progress report December 2011, we found the Olympic Delivery Authority remains on course to deliver its work on the Olympic Park on time, within budget and to the standard required. On current projections, however, almost the whole of the £9.298 billion Public Sector Funding Package for the 2012 Games is likely to be required, with little scope for further unforeseen costs to emerge in the eight months left. The table below lists all the National Audit Office Reports. We have also included links, where they exist, to follow up work by the Public Accounts Committee and HM Treasury.